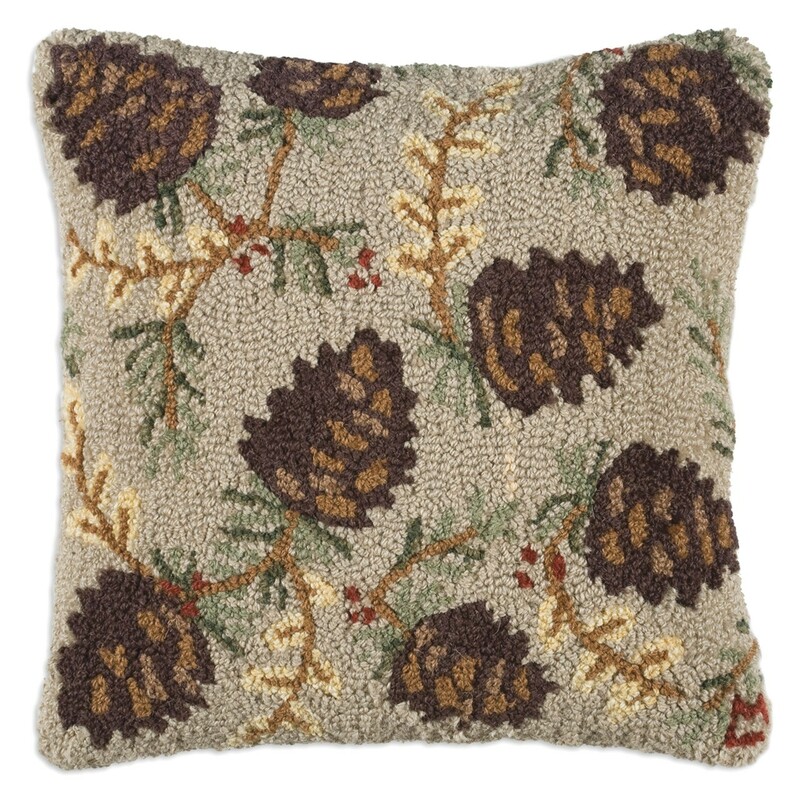 Nice decorative Northwoods beige pine cone design to complement any cabin. 18" square hand hooked pillow, 100% New Zealand wool. Zippered velveteen backing with poly-fill pillow insert. Designed by Laura Megroz. Item: G4C-1823 Price: $79 ea.